When Tommy Kono became Mr. Universe for the third time in 1961, his dominance inspired a certain 13-year-old in the crowd to pursue his own bodybuilding career one day – some kid named Arnold Schwarzenegger. Many years later, whenever someone learned about Kono's background as a champion weightlifter and bodybuilder, they naturally asked him, "Do you know Arnold?" Kono had the perfect response: "Arnold knows me." 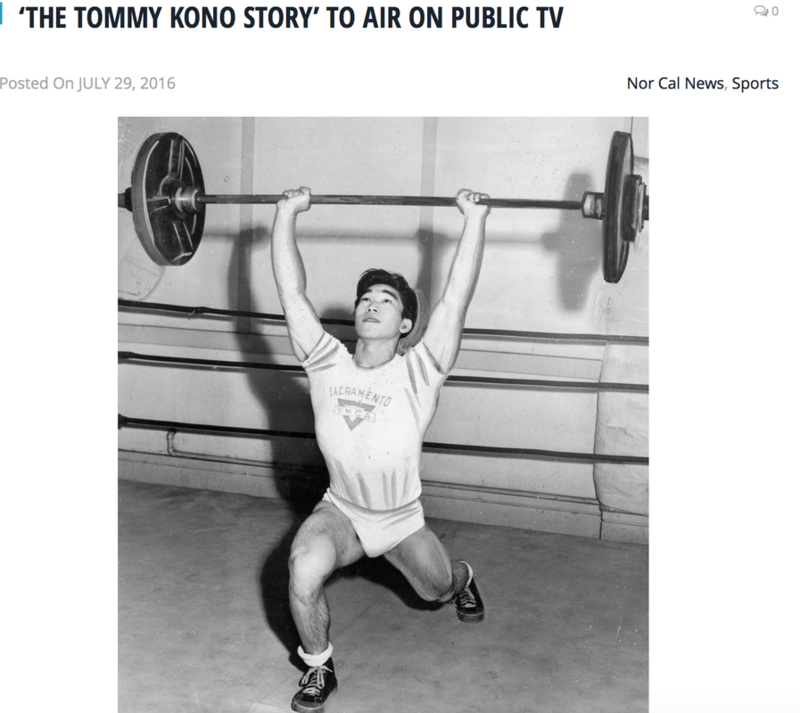 July 26, 2016 - Tommy Kono may not be a household name today, but the weight-lifting champion definitely left his mark on the world during his 85 years. Born in Sacramento in 1930 to Japanese-American parents, he and his family were sent to an internment camp during World War II. It was while he interned at Tully Lake that Kono picked up weight lifting. He became a two-time Olympic champion and won both Mr. World and Mr. Universe titles. August 16, 2016 - I’ve been watching the Olympics when I get tired of obsessing about the presidential campaigns. 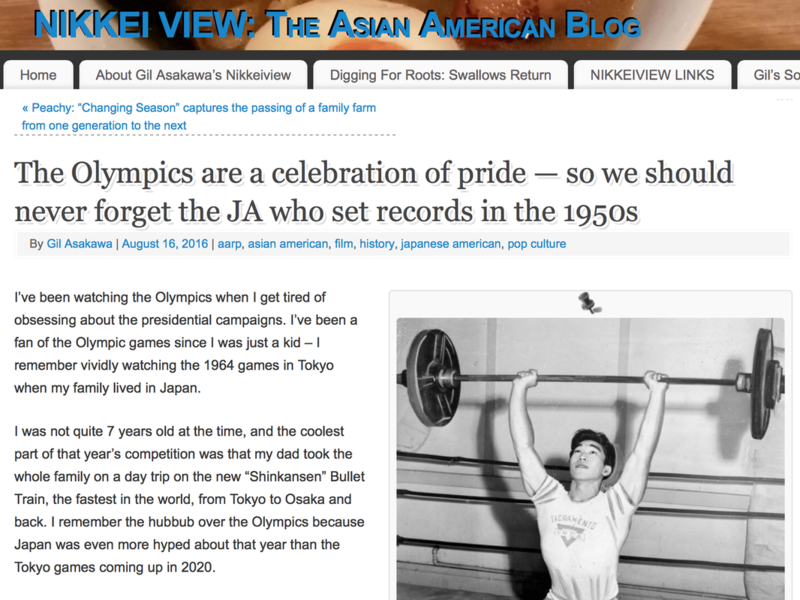 I’ve been a fan of the Olympic games since I was just a kid – I remember vividly watching the 1964 games in Tokyo when my family lived in Japan. For decades, Tommy Kono would often hear the same question when people learned that he was a legendary Olympic weightlifter and champion bodybuilder. “Do you know Arnold Schwarzenegger?” people would ask the Sacramento native. Kono always had a go-to answer ready: “Arnold knows me.” After all, Kono came first. July 26, 2016 - "Arnold Knows Me: The Tommy Kono Story" director Ryan Yamamoto appears with Good Day Sacramento's Ken Rudolph. Former ABC 10 reporters Ryan Yamamoto and Suzanne Phan came home earlier this week to debut the documentary film they have been working on for the better part of the last three years. The documentary is called "Arnold Knows Me: The Tommy Kono Story." 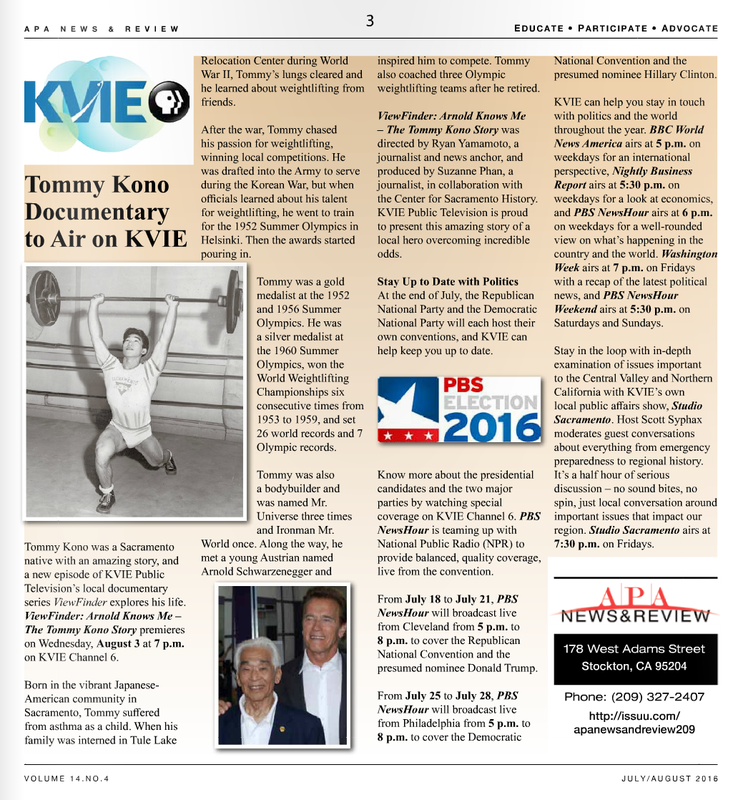 July 26, 2016 - "Arnold Knows Me: The Tommy Story" director Ryan Yamamoto appears on FOX40 News in Sacramento. ​SACRAMENTO — A new documentary of triumph over adversity is coming to public television just in time for the Olympics in August.